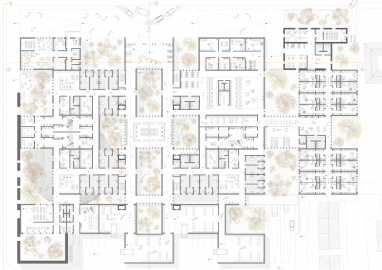 An exercise of social and physical palimpsest within a complex urban fabric. 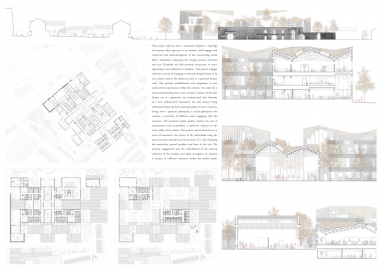 The project explores how a maternity hospital can engage with sensitivity and acknowledgement of the surrounding urban fabric, enhancing the dialogue between structure and user. 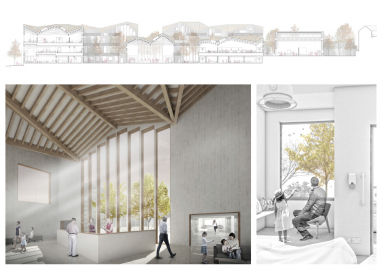 It engages with the concept of bringing a maternity hospital back to its very nature, back to the domestic and human scale. Hospitals can lack a personal connection to users. The positive establishment and integration of new architectural expressions within the context, was aided by a deep understanding/sense of place. 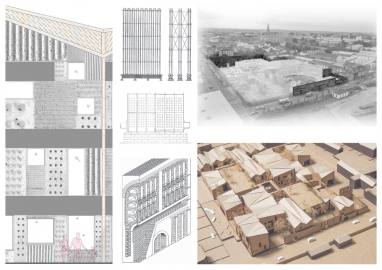 The sites former use was reinterpreted into elements of a architectural expression, its history being addressed within the form and materiality of a new structure. A social palimpsest was also created, a spectrum of different users engaging with the structure. The foremost spatial quality created was one of inclusiveness and accessibility a reflective solution to the civic reality of its context. The project can be described as a series of narratives, the stories of the individuals using the space, but also described as the narrative of a city, reflecting the materiality, spacial qualities and form of the city. The projects engagement aids the embodiment of the cultural collective of the location and helps strengthen its identity. A project of reflective presence within the public realm. 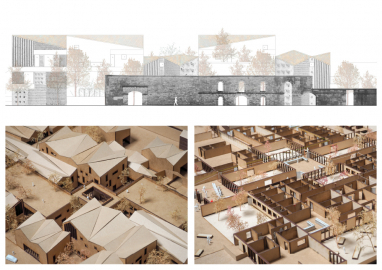 The project explores the history of a working class city, which while romantic in parts is deeply unsettled, where fragments of a grand history remain, raising the question to the role of these fragments within a new architecture and how to move forward. What makes the proposal unique is the scales at which it explores this through the lens of palimpsest. 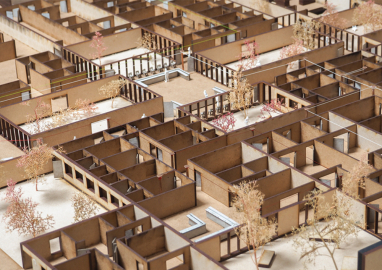 A qualitative user experience was achieved through a series of courtyards, aiding navigation, while also giving a proximity to nature as an interior experience with the health and calming benefits that it entails. A reinterpretation of the hospital mat typology, reworked, to make it function as a modern hospital within a very complex brief. The grid expresses the project architecturally as a series of smaller buildings, creating a striking contemporary language set against the traditional forms of the housing that surrounds. The reference to the language of domesticity in a place for the creation of life, is a sophisticated response, both poetic and playful, equally contextual and contemporary. The project questions a true architectural idea on a series of scales. The project simultaneously explores its idea while keeping a critically objective view as a piece of architecture, creating beautiful spaces. 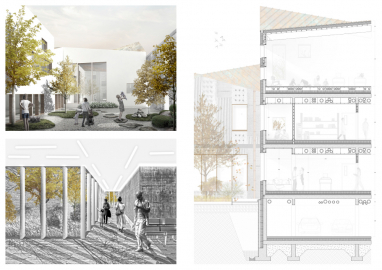 The thesis delicately explored contemporary theoretical themes and executed them in a very sophisticated building.